MapsIndoors, our indoor mapping platform, is designed to be integrated with other platforms to create state of the art solutions which add value to customers across the globe. You might have a tool for in-store marketing, build apps for museums or help hospitals improve their building infrastructure. MapsIndoors is the indoor mapping and navigation platform that, in combination with your solution, can unlock the potential of indoor location for your current and future customers. At MapsPeople we are passionate about what we do and we are looking for like-minded, who are obsessed with changing the way business is done to the greater good of our customers. Knowing that we hold only parts of the puzzle, our global success depends on unique and strategic partnerships. We are constantly working on expanding our global ecosystem of partners which includes digital agencies, system providers, technology providers, app agencies and many more to always provide the best solutions to our customers. If you are to understand how our indoor mapping platform, MapsIndoors, can be integrated with your solution and advise customers on best practices – and ultimately sell – you need support from us. That is why we have set up the Partner Program where we offer in-depth sales and product training, a wealth of sales and marketing resources, best practice guides and much, much more. Read on below to find out more about the MapsIndoors Partner Program and to find out how you can join us today. You can also meet some of our current, trusted partners below. Indoor navigation is booming and we’re constantly working on new features to improve MapsIndoors and make it the most innovative indoor navigation platform in the world. 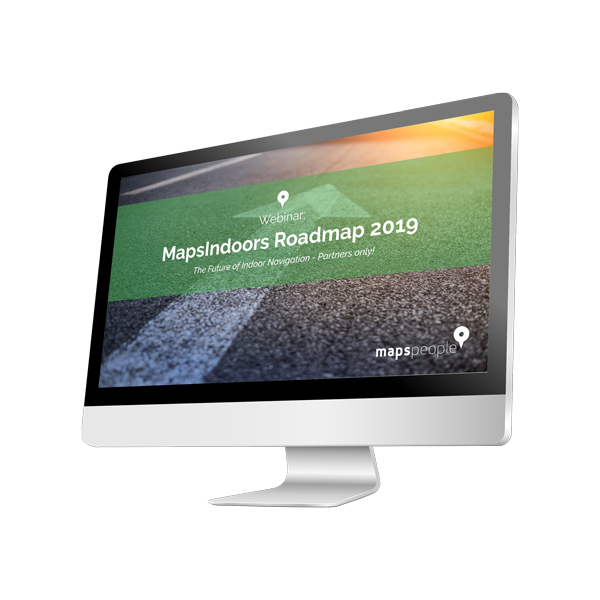 We invite you to look into the future of indoor navigation with MapsIndoors and show you what to look forward to for the rest of the year and the beginning of 2019. “Together with our partner MapsPeople, we are pleased to be able to offer MapsIndoors to the German speaking markets and to contribute our competences in the area of mapping, mobile and data visualisation." “Think about airports, shopping malls, hospitals, large scale adventure parks such as Plopsa, festivals, Tomorrowland or the fair in Brussels, indoor navigation is a hot issue for those organisations to ensure excellent customer services." As a partner, you will gain access to a wide range of resources that will help you succeed. We see partners as an extension of ourselves. That is why we provide you with support in everything from sales and marketing to prioritised technical support and documentation. We aim to give you access to all the resources you need to excel and become a successful partner via the Business Partner Portal. Our Partners are very important to us and we take pride in providing outstanding service and support to help them succeed. We have created the MapsPeople Business Partner Portal to provide a one-stop shop for all sales and marketing related activities and content. 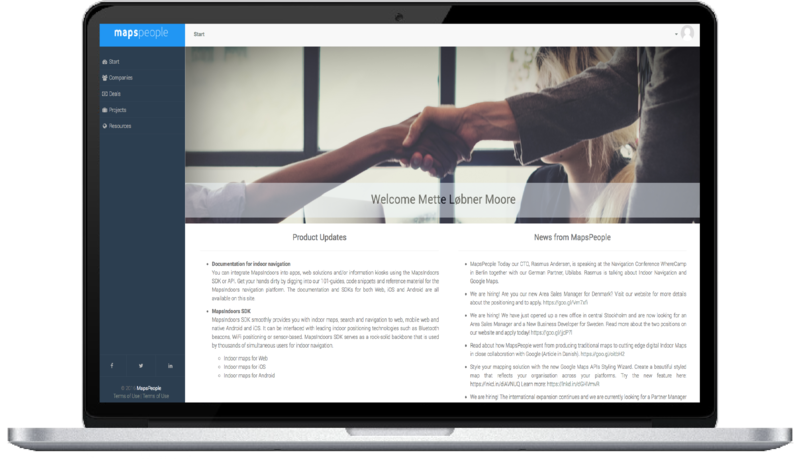 All partners gain access to the portal and can use it as a platform to manage their MapsIndoors prospects and deals and download marketing collateral such as logos, presentation templates, sales pitches, product descriptions and much more. We love to hear from ambitious companies, who wants to expand their business and service portfolio to include indoor wayfinding solutions. So whether you provide indoor positioning technologies, marketing solutions, hospital equipment or airport solutions, please get in touch.